Nestled in the beauty of Spanish Peaks Colorado, Sonic Bloom 2016 rocked out on the sweet lands of Hummingbird Ranch. The festival grounds were picture- framed by the incredible surrounding mountains and accompanied by patches of pine trees and evergreens. Sonic was packed full of talented artists and musicians who shared their art across the span of 3 different stages. The Bloom Stage, The Hummingbird Stage and The Other Stage. Each zone emulated its own set of magic and was accompanied by visual- art – projection amazingness. 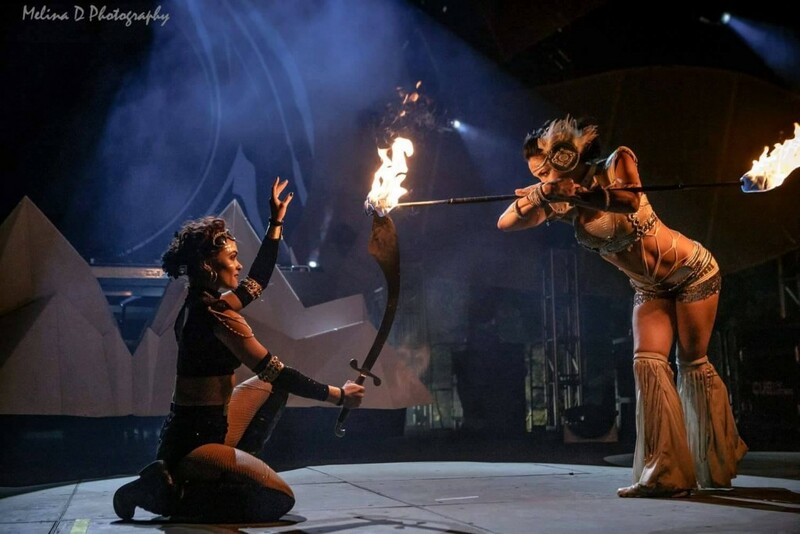 Incredible live performances by the likes of Quixotic, Lunar Fire, Deb Rubin, Phaedroid, KA, Soul Fire and more shared their set of talents throughout the duration of the festival. Soul Fire had a Friday night set after Nightmares on Wax just prior to Bonobo. The festival lined up a ‘tweener’ set to be tied in with the music by Colorado native DJ Cuali. Adorned in new costumes with a Future Tribal feel, the black sequined, high-waisted, Mohawk – rocking outfits brought a classy futuristic space tribal uniqueness to the stage. Presenting our “HellaMana” show by opening with our newt triple umbrellas choreography to drop it like it’s hot for the audience. Sharing partner double staff, partner poi and triple partner poi with remarkable double fire- hoop, fire scimitar and fire dragon choreography. We had the honor of sharing the stage with the amazing Ishani Ishaya from Quixotic as she rocked a single staff solo to transition our finale piece. Sonic Bloom celebrated it’s 11-year anniversary this year and ended the Sunday evening with Eoto and the first ever Sonic Bloom Orchestra. 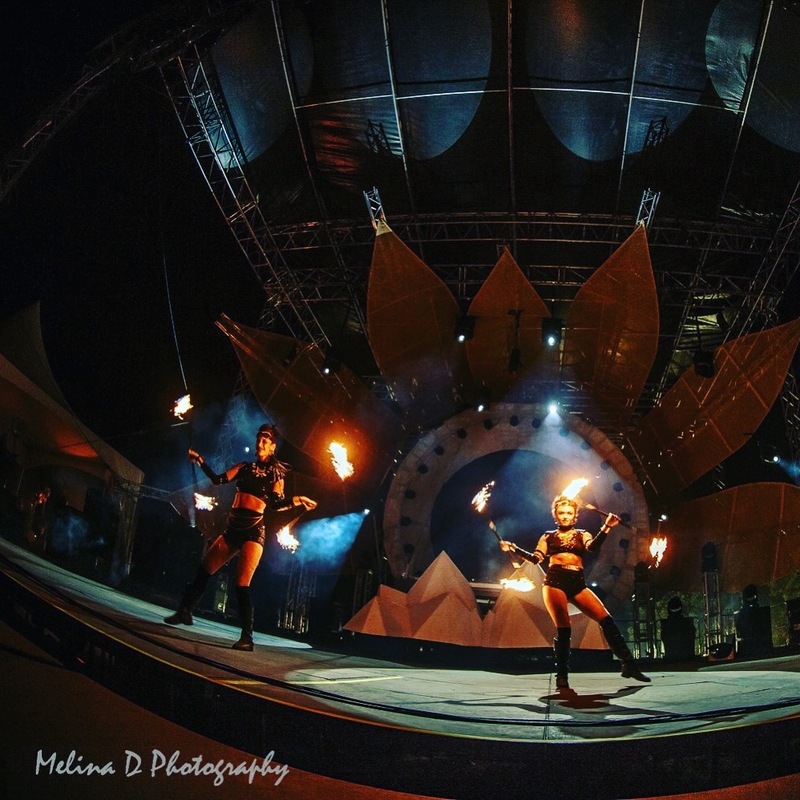 The side- stages lit up with a plethora of free style fire dancers spinning other- worldly objects on fire. 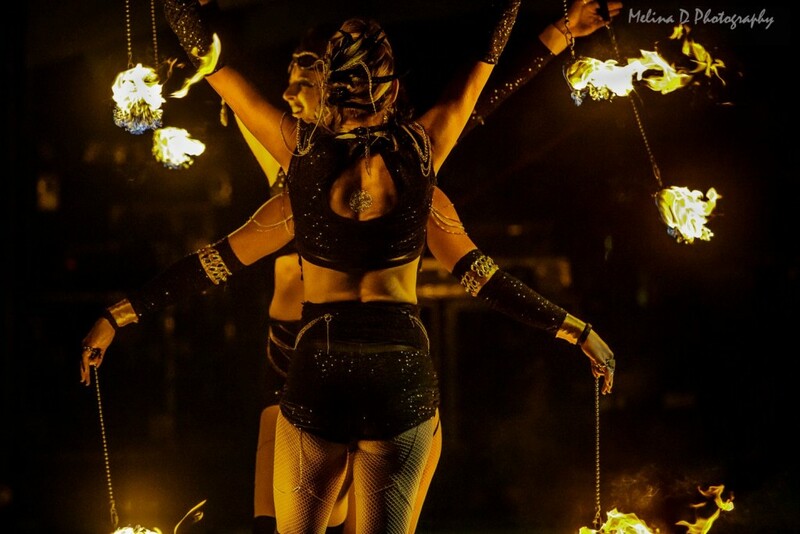 New and creative flaming innovations were displayed in throws as each dancer wielded their art to the blooming live music on stage.